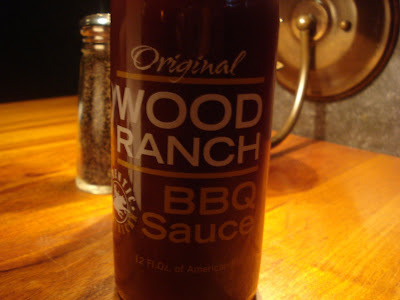 I wrote my thoughts on Wood Ranch last August, but the pictures I had for that post were of poor quality. The other day I went to lunch with my mom at Wood Ranch and I was able to take better quality photos, so I thought I would post them. 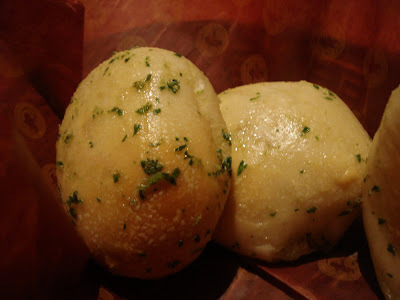 My main reason for wanting to visit Wood Ranch was that I had received a coupon in the mail for a free appetizer. Their appetizers - barbecue chicken potato skins, onion strings, grilled balsamic shrimp, etc. - are my favorite items on the menu so this was a great deal... except I lost the coupon. I ate one of their garlic rolls while I was waiting for my food. In the past I have never been a big fan; it always seems like you could squeeze a shot glass worth of butter from each roll if you are so inclined. But these were far less greasy than any I have ever had here. 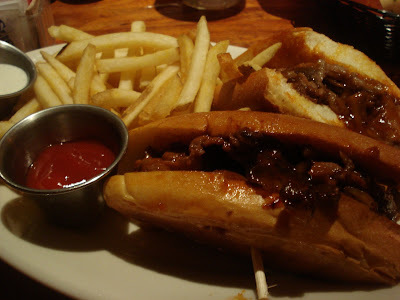 My mom and I both ordered the exact same thing: "America's Best BBQ Tri Tip Sandwich" with fries. Now, once upon a time, I would have at least entertained the argument that this is one of the best barbecue tri tip sandwiches in America. But, as I wrote last August, the quality of the sandwich has gone down considerably as the years have gone by and the restaurant chain has expanded. 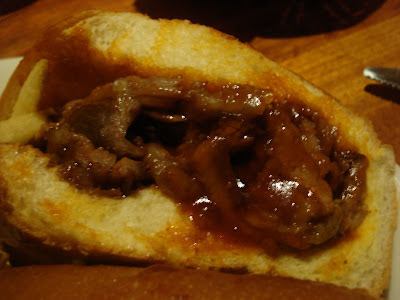 The other thing that I have noticed about this sandwich over the last two or three years is that at least half the times I order it, the meat is riddled with fat. This sandwich was the best (or, perhaps I should say, worst) example of this trend. At least every other bite yielded a giant piece of fat, some as large as a quarter. This is unacceptable. A properly cut piece of tri tip should have very little fat on it. I have cooked well over 100 tri tips in my life, both grilled and barbecued, and never once have I had a tri tip with as much fat on it as this sandwich. It was also completely drenched in sauce. I suppose that was their attempt to hide the fact that the meat was so nasty. This may well have been the last trip to Wood Ranch for me. It's not cheap and the quality is just no longer worth it.